Sonderbestellung USA. Lieferzeit ca. 4-5 Wochen. 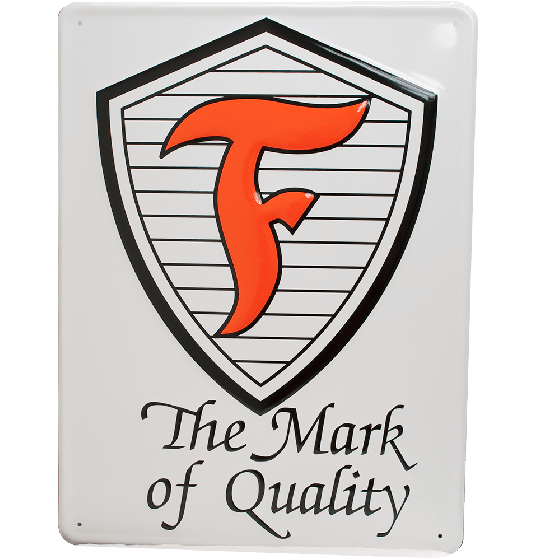 This metal sign features the classic Firestone Shield logo design. The Firestone shield logo was used from the 1920s to the 1940s, and it´s a classic reminder of a much simpler time. Made from 26-gauge aluminum with mounting holes for easy hanging. 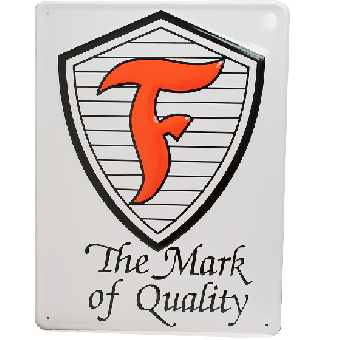 This Firestone metal sign is embossed for the authentic look. Screen-printed with the original Firestone Shield logo design for a slick and glossy finish. Measures 18 inches wide and 24 inches tall, making it a great size for your garage.